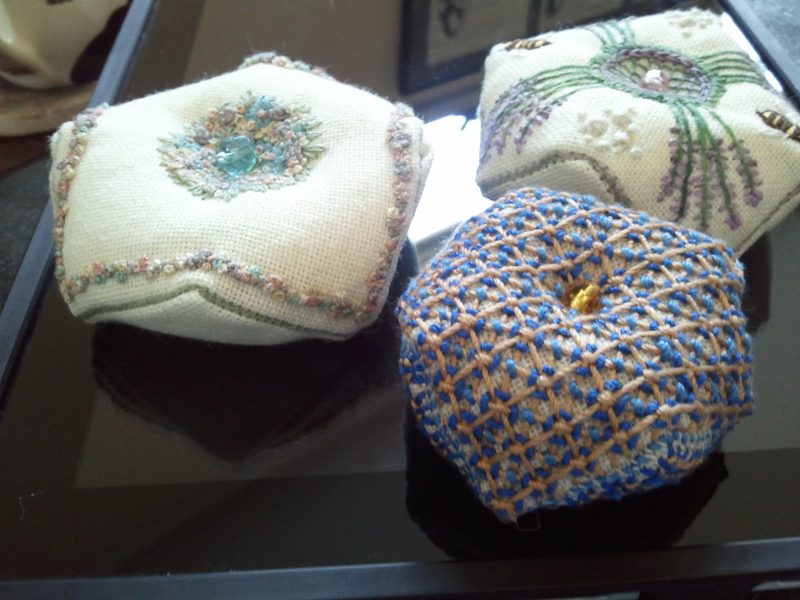 Over the last few months, I’ve made a few biscornu, which are basically constructed of two squares sewn together, with the point of one square meeting in the middle of a line of the other square. (More detailed explanation here.) I made these because the cat project was too big to hold when a baby fell asleep on my lap, but a small hoop worked well. 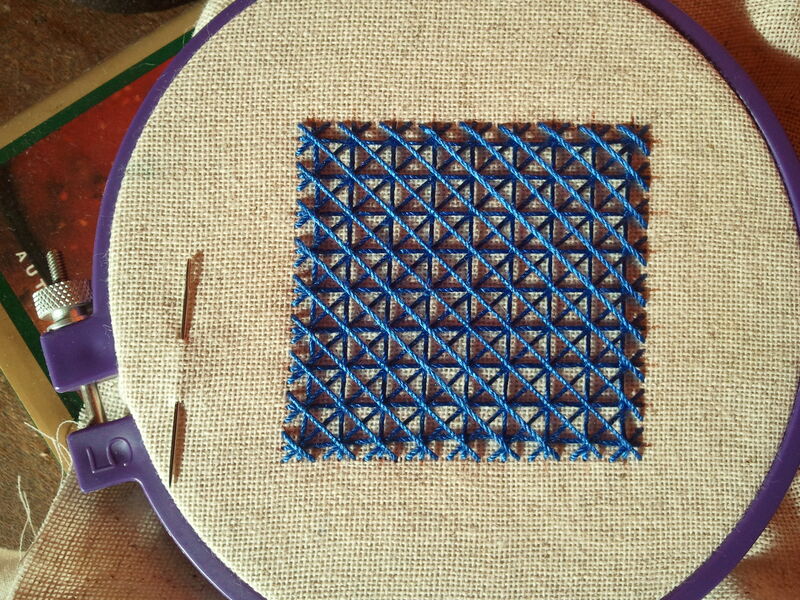 The blue one came about because I wanted to try out Griffin stitch after reading about it on Mary Corbet’s blog, and of the three, it’s my favorite. More photos below the cut. 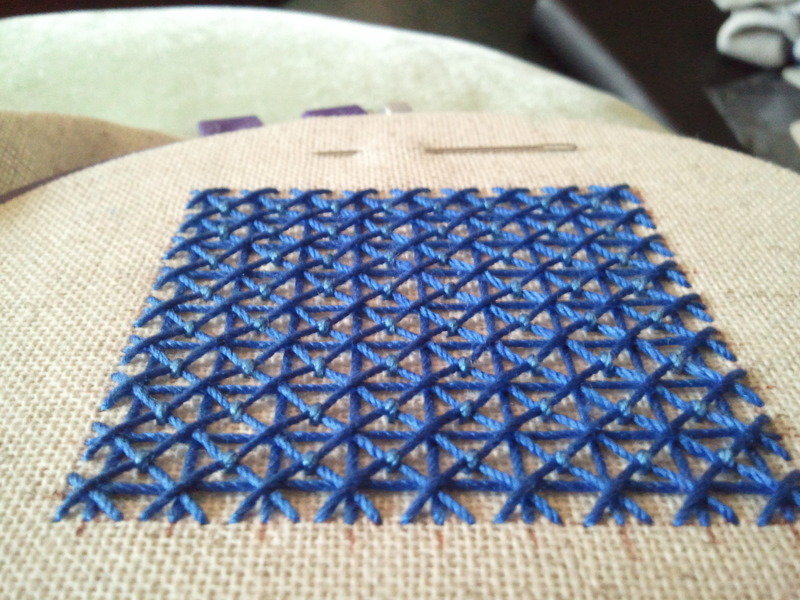 You get an interesting effect by leaving some of the intersections unlaced. This could look very nice worked over a larger area. 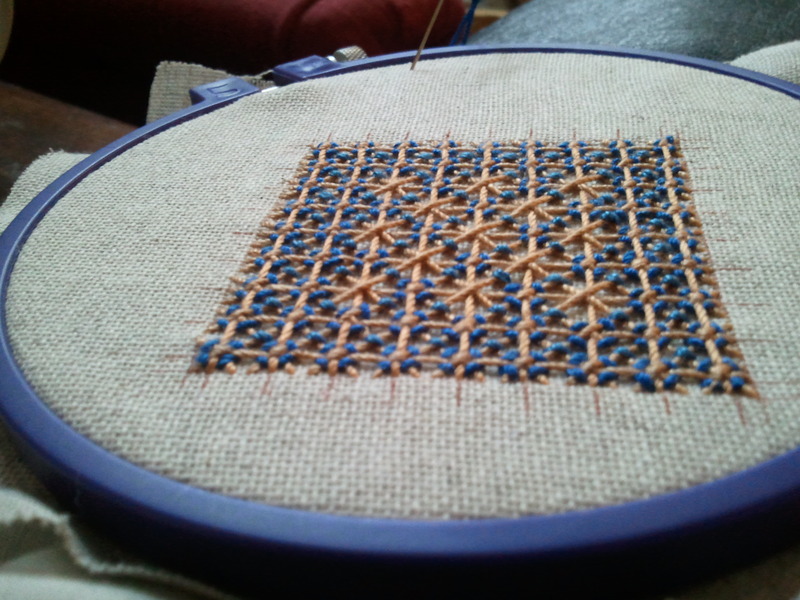 I ultimately decided that if I were going to leave un-laced lattices, it would look weird to do it only on the gold side, so I’ll just keep the fact that I like the look in mind for future projects. 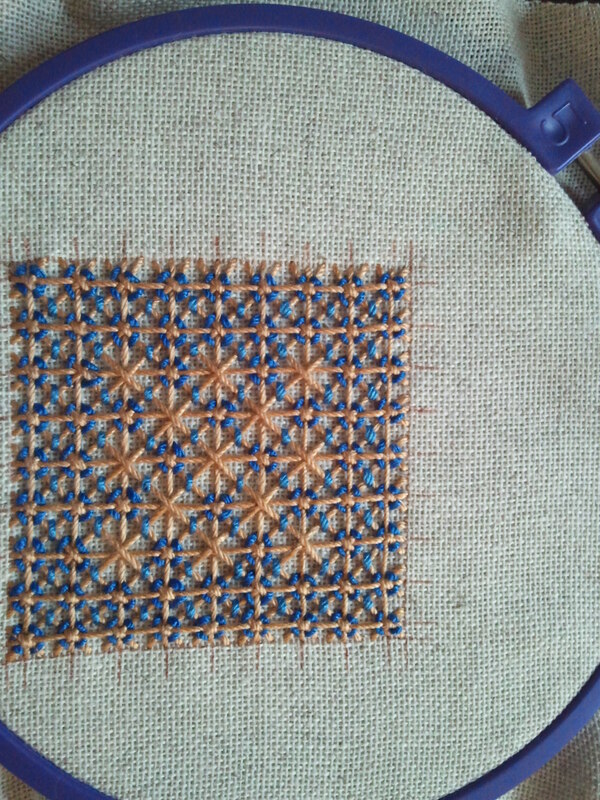 The photo at the top of the post shows the finished Griffin stitch biscornu blue side up; here it is gold side up. I like the way they both look! 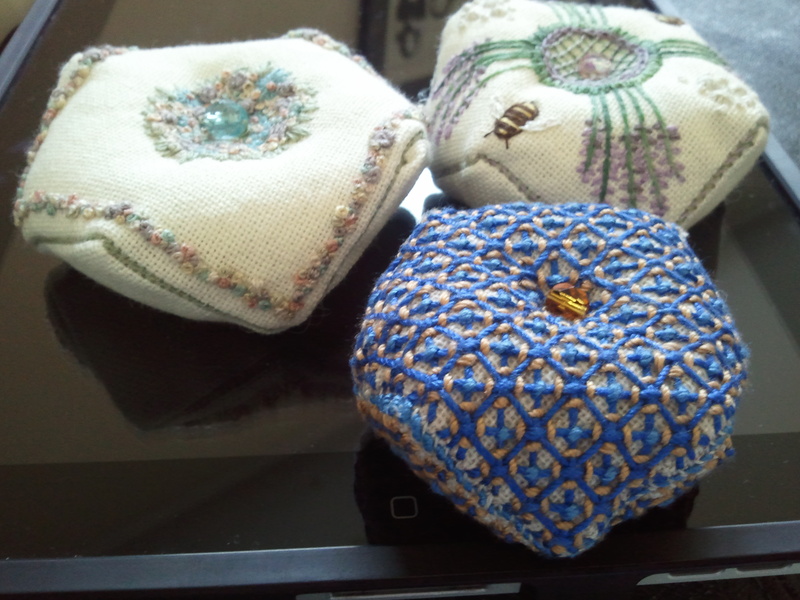 These would make pretty pincushions or sachets. This entry was posted in Uncategorized by Rene. Bookmark the permalink.